If you are looking to add cultural and oriental style to your landscape, these stone treasures are perfect. 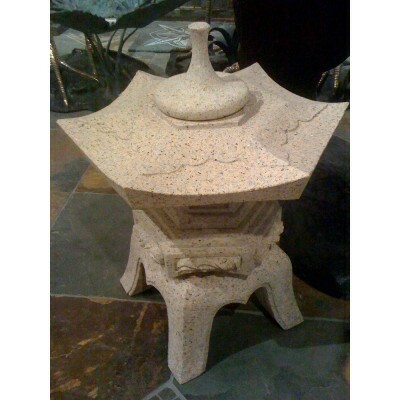 The reiki Japanese-style lantern is handcarved from natural stone and signifies healing. The word reiki itself is defined as, a healing technique based on the principle that the therapist can channel energy into the patient by means of touch, to activate the natural healing processes of the patient’s body and restore physical and emotional well-being. With the unique reiki design and curved base, this lantern is meant to be placed near water to create a beautiful reflection. Seeing the elegance of the lantern along with the reflection in the water can help lower stress and make you mesmerized by the beauty. If you want your landscape to hold the feeling of serenity, this yukimi lantern, handcarved from Giallo Fantasia Dark granite, is your answer. Throughout the lantern, traditional Yukimi Japanese style catches the eye, especially the pagoda roof, which catches snow in the winter. So this lantern will not only enhance your landscape in the summer, it will be equally as beautiful when winter rolls along. 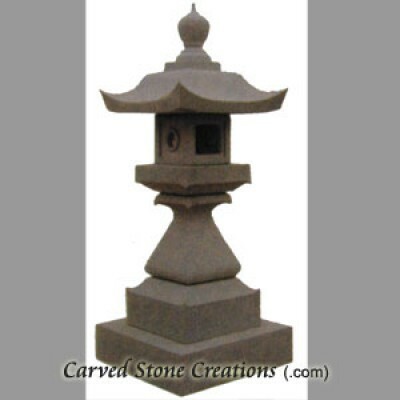 This classic pagoda lantern, handcarved from Giallo Fantasia Dark granite, is a stunning addition to your landscape. It can make a statement on its own, or it can accent your garden and land by serving as the centerpiece. This lantern features traditional Japanese styles and breathes beauty! Watch your landscape light up as a candle slowly burns inside this stone creation and makes your landscape an escape from reality. 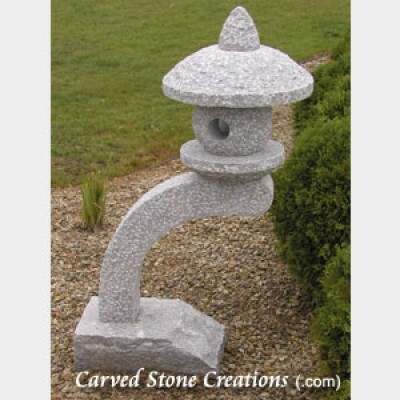 Are you interested in purchasing a stone lantern or have any questions on our oriental-styled pieces? Call us at (866) 759-1920 to contact us today!